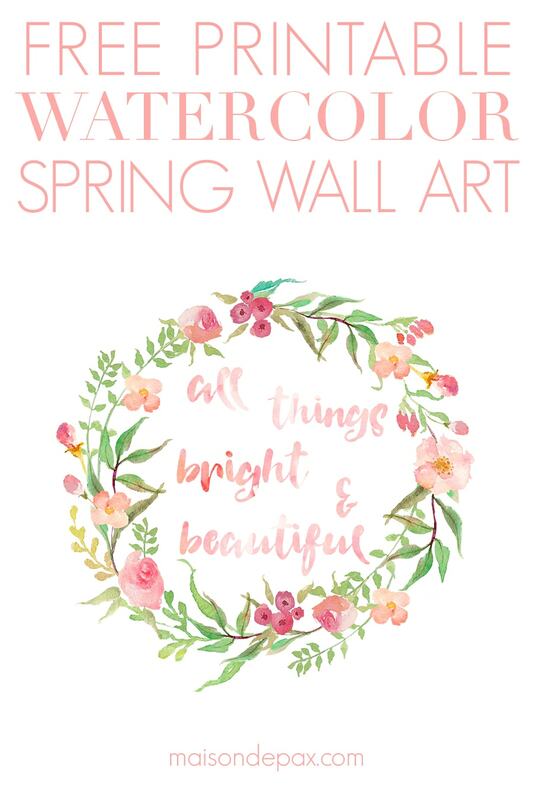 Download this FREE watercolor spring printable wall art featuring “All Things Bright and Beautiful” and a floral wreath. 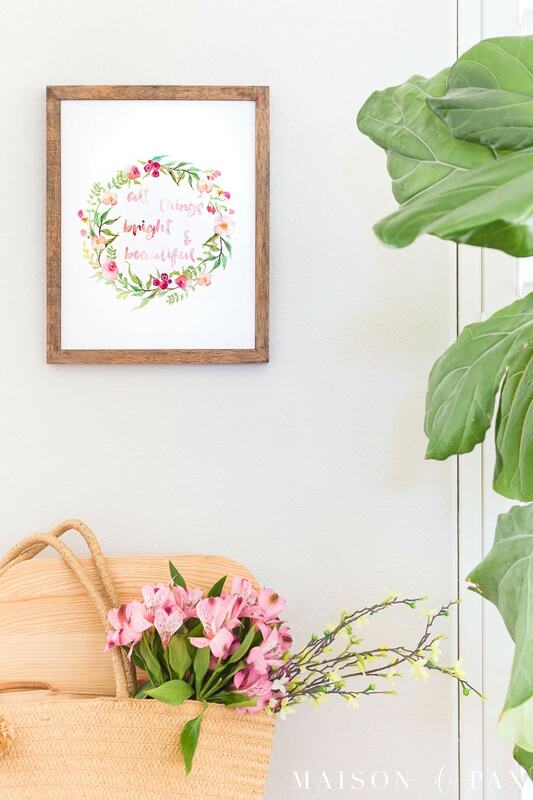 Plus find 30 more free spring printables! 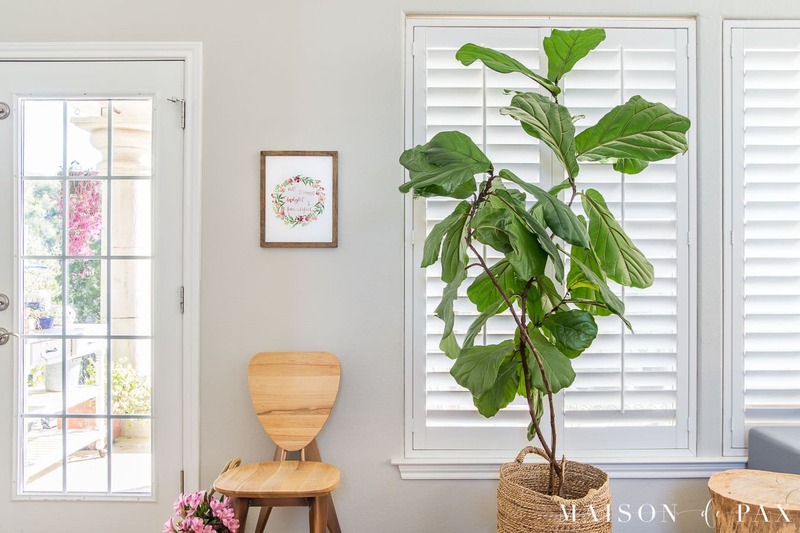 Inspiration can come in many forms: family history, seasonal beauty, popular trends, and more. But sometimes, it’s found in the simple. The everyday. The mundane. And secretly, that’s often my favorite kind. Such a beautiful reminder, especially this time of year as new life blooms all around. The colors of the wreath – especially the pale coral and sage green – were my favorite combo that I spotted when visiting our local wildflower center last week. And as I sat down to create the piece, these flowers that my sweet mom brought me were right beside me, shaping my palette. 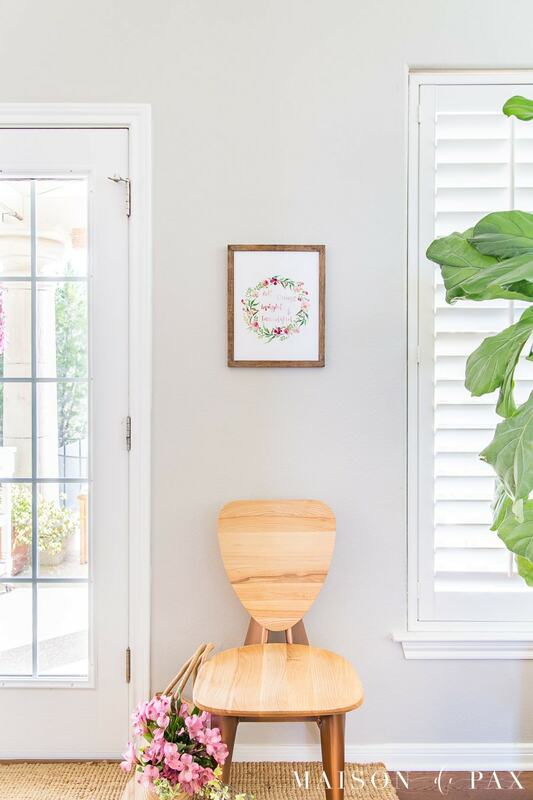 It’s not really a color combo I use much in my home, but it somehow seemed so perfect for spring… And as a simple print beside my back door, it didn’t need to really match anything else. 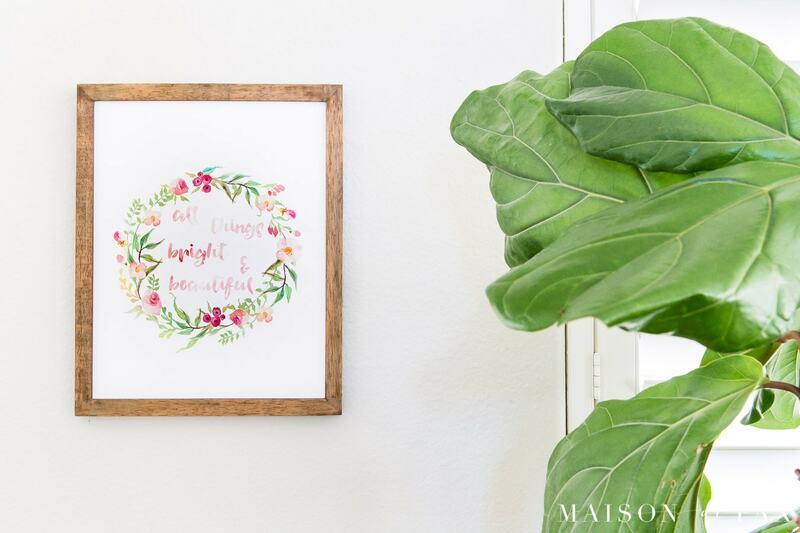 I obviously chose to frame it as wall art, but I think this printable would also make a beautiful part of a collage, a sweet addition to your fridge or memo board, or even a pretty card front… Just please remember that these are for personal use only! And if you’d rather save it for later, be sure to pin it below. 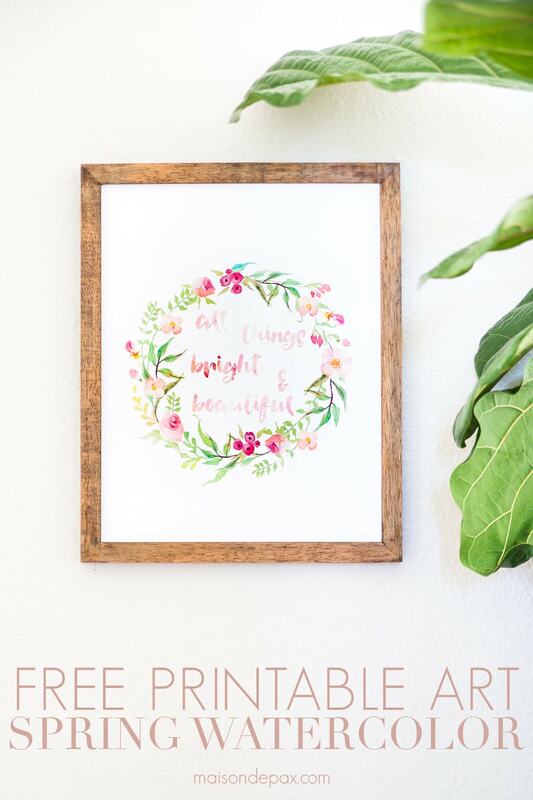 You might also enjoy these other spring printables I’ve made. And happy day! 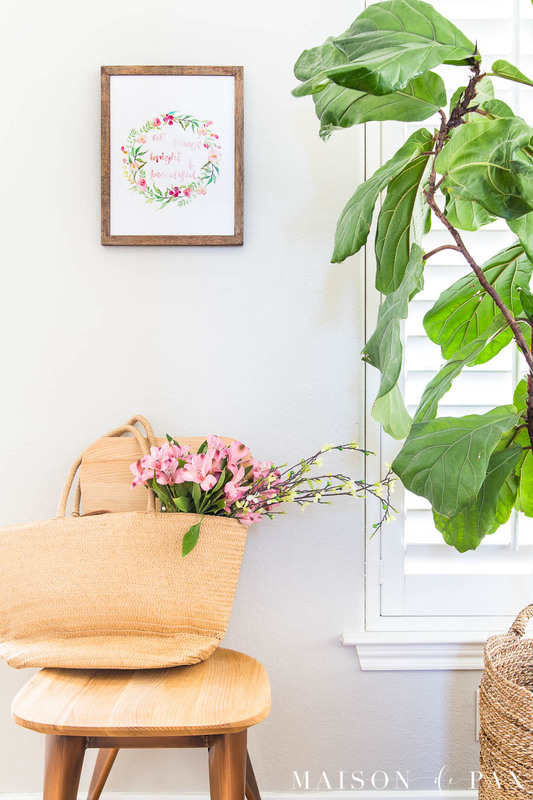 Kristen of Ella Claire Inspired has gathered together 25 bloggers all sharing free spring printables today… so check them all out below! 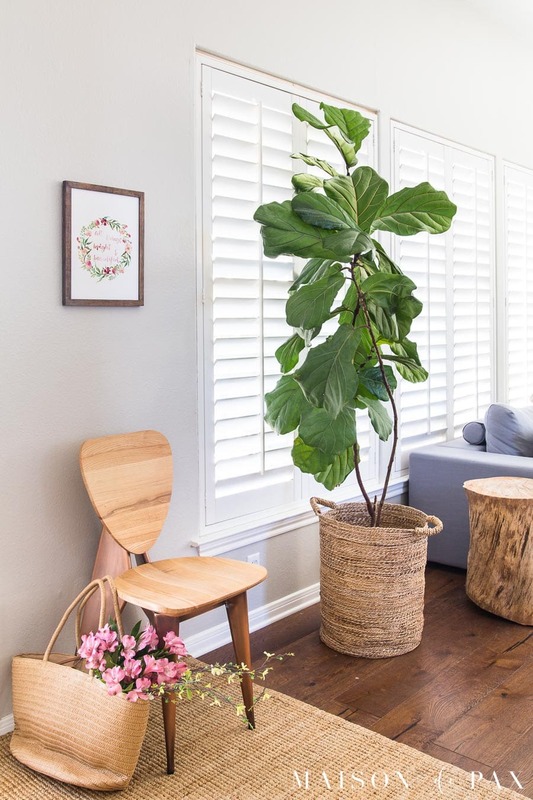 That chair in the photos is super cool! So warm and friendly, yet modern. And your tree—is it Fred?— looks so vibrant and healthy. Yes! It is Fred, suzy! Good memory! I too loved the chair in your pictures. Is it new we could also purchase or is it vintage? Thank you for the beautiful printables! That chair is so fun, isn’t it? I got it from Industry West last year, but they unfortunately don’t seem to carry it anymore. They have lots of other beautiful modern wooden chairs, though, if you want to check it out. 😊 Hope this helps! A beautiful reminder of the season, Rachel. Happy Spring! Thank you, Krista, for the comment and for inviting me on the tour! 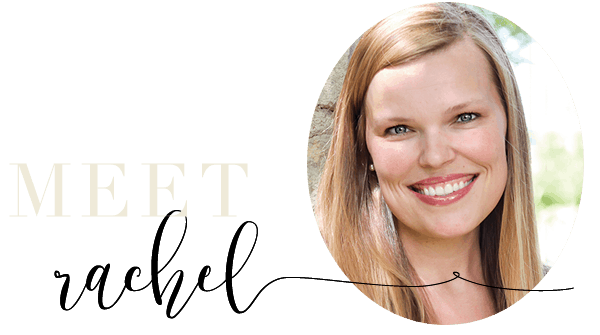 Such a beautiful printable, Rachel! Love the colors.